Whose ready for spring? 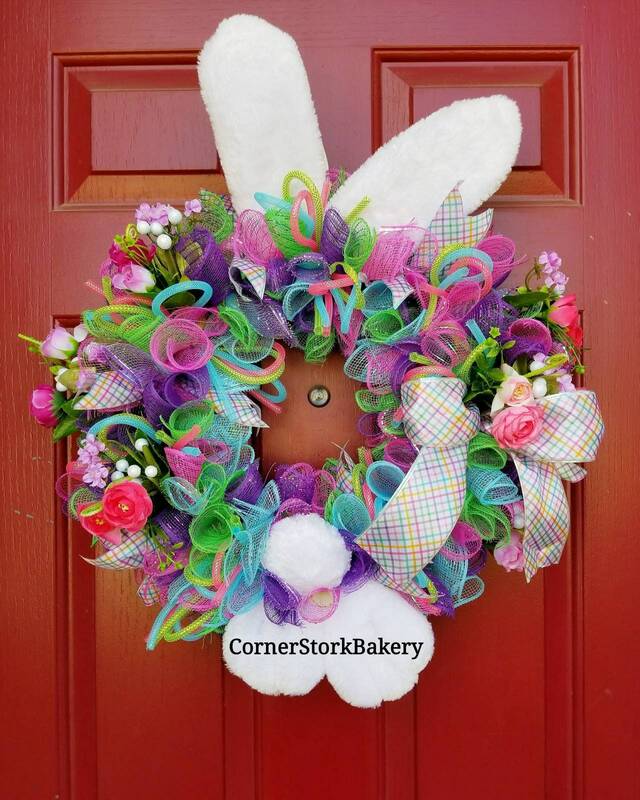 Grab one of these adorable Bunny Wreaths. It's sure to get you hopping into the next season with a smile. Makes a bright and cute front door greeter. Perfect for Easter. * All nicely wrapped in a cellophane bag with matching ribbon & a handmade gift tag. Looking for a different holiday or theme? Send me a message and I would be happy to help you.